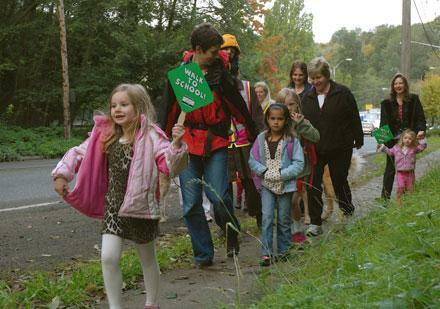 Urban Sparks’ Community Greenways and Trails Project is an education and funding project to help educate the public and powers-that-be about greenways, trails and active transportation as well as help fund physical projects. Physical projects may include associated public amenities like bike racks and covered seating. Using funding methods available only to a 501(c)(3), we’ll facilitate the excellent work being done by the various Greenways project leaders around the city. If you or your foundation would like to make large tax-deductible or employer-matched gifts to support a particular Greenway or Trail project, please contact us. If you’d like to support the broader education movement, we’re doing that too. Urban Sparks supports active transportation. We were the fiscal sponsor for the Neighbors of the Troll traffic mitigation project. 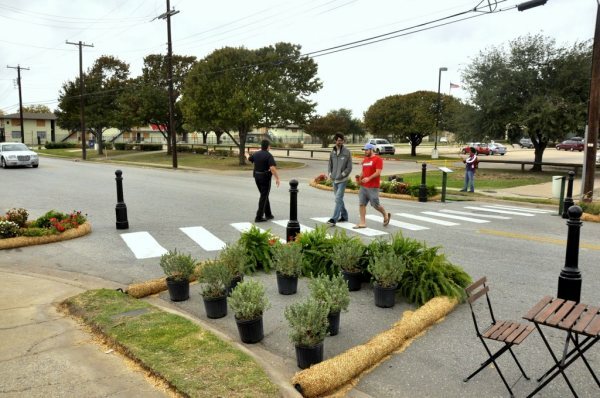 We believe in functional crosswalks with clearly painted stop lines and in crossing islands. In 2004, we proposed a commuter trail under the shelter of I-5 betweenEastlake and REI. We’ve encouraged neighborhoods to identify high-yield low-cost trails in places like street ends and across public properties where pedestrians and cyclists could easily and safely cut through. We conceived of a street marking program where text-free colored dots mark safer north-south and east-west streets as alternatives to arterials. In the 2008 Parks and Green Spaces Levy we helped boost the Opportunity Fund to $15M, up from $10M in the Pro Parks Levy. We were hoping that neighborhoods would apply for those funds to create neighborhood improvements so that more people could walk or bike for daily transportation. Access-quisition – In order for trails to get to schools, libraries, markets, jobs, etc, they must cross property lines and jurisdictions. That’s why during the Levy definition meetings, we invented the word “access-quisition.” We hoped that with enough warning, city departments would study how they could grant access for trails, without requiring land or easements to be purchased (acquired). In a 6-year levy the long acquisition process would kill most projects for lack of access to publicly-owned lands that happen to be owned by the wrong city department. We’re big believers in immediate low-cost projects that get people moving in less than 2 years.